I was a Guest Scientist at the Onsala Space Observatory. I was funded by the The Canadian Space Agency through a contract to The Space Astronomy Laboratory of the University of Calgary, and I was working mainly in the Group for Advanced Receiver Development at Chalmers University of Technology in Gothenburg, Sweden. 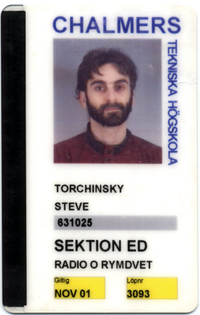 I was the Canadian Instrument Scientist for the Odin Astronomy/Aeronomy satellite. last update 2011 January 24, 14:42 UTC by Steve Torchinsky. See changelog.